A WooCommerce plugin for WooCommerce Product Table. 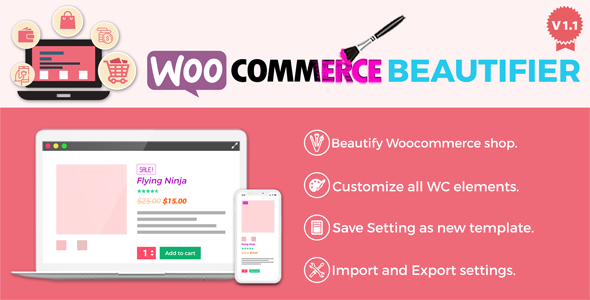 WooCommerce Product Table Pro offer to display all products or specific products as table in a searchable & sortable table view by shortcode. Perfect for wholesale stores, product catalogues, order forms, restaurant orders & more. Fully responsive and mobile friendly. WooCommerce all products display as a table in one page by shortcode. Fully responsive and mobile friendly. Easily customizable – color,background,title,text color etc. Woo Product Table plugin offers to display your shop product in one page by shortcode as table. WooCommerce Min Max Quantity & Step Control plugin offers to control of all products or specific products with minimum , maximum and step of quantity. With this plugin you will be able to set your product quantity as much as you want. FOOD or Product Menu for WooCommerce a WooCommerce add on plugin to display your online products in a table view. You can use it for multipurpose. All themes supported. Fully responsive and mobile friendly. Easily customizable – color,background,title,text color etc. WooCommerce add to cart Text change is a WooCommerce add on to change the default add to cart button label of WooCommerce. Using this plugin you can easily customize your add to cart button text. Besides, you can use cart icon on add to cart button. Works on all themes, on all pages like shop page, archive page and single product page for all types of product.